NEW YORK (WCBS 880) — Mets great Mike Piazza may not be taking the field Thursday, but he’ll still be at Citi Field on Opening Day. The 12-time All Star and 10-time Silver Slugger Award winner played with the Mets until 2005 and says years later, he still misses Opening Day with the team. Piazza says “it takes a special person to really do well in New York” and that Alonso already shaping up to be a great addition to the team. “He’s off to a great start and I think even more so, I’m completely convinced he’s gonna be a great player, but he looks and, just from when I’ve talked to him, being a great kid as well and a good person,” Piazza says. Starting the season on the road has given Alonso a chance to break into the big leagues with a little less of a microscope, but Piazza says that he’s already begun to make a name for himself. It also helps that he has the support of veterans such as Robinson Cano and Jacob deGrom. RELATED: What’s New At Citi Field Ahead Of Mets’ Opening Day? “A guy like Robinson Cano, he makes the team better just by his presence in the lineup,” Piazza says. 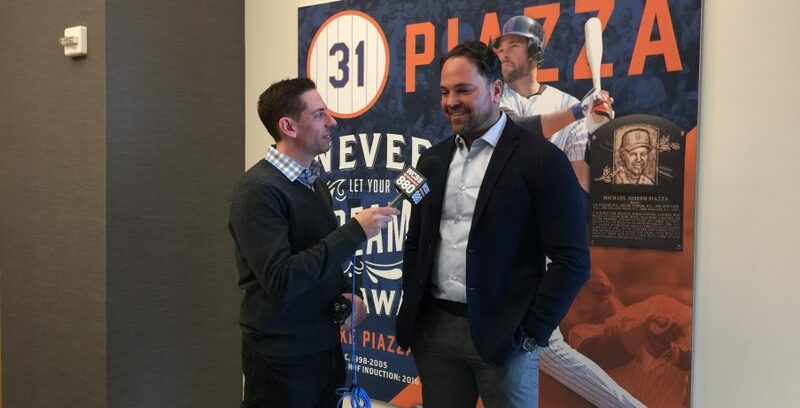 Neil A. Carousso produced special coverage of the Mets 2019 home opener at Citi Field, including Brad Heller’s interview with Mike Piazza, for WCBS Newsradio 880 – the flagship station of the New York Mets. NEW YORK (WCBS 880) — For more than 50 years the New York Mets have provided fans with a lifetime of memories. From Gary Carter’s dramatic 1985 debut to Mets baseball in Tokyo, we asked some of the team’s biggest fans to share their favorite Opening Day memories as The Amazin’s get ready to host their 2019 home opener at Citi Field. 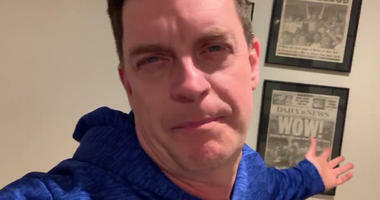 Watch the video above to see comedian Jim Breuer, Mets radio hosts Howie Rose and Wayne Randazzo, former Mets Manager Bobby Valentine, sportscaster Kevin Burkhardt, Mets minority owner Anthony Scaramucci, WCBS 880 traffic reporter Tom Kaminski, WCBS 880 meteorologist Craig Allen, sportscaster Mike Breen and Reps. Eliot Engel and Peter King share their stories. Share your favorite Opening Day memories with us on Facebook, Twitter and Instagram! And don’t forget you can hear every Met game on 880AM! Neil A. Carousso produced and edited this special New York Mets content for WCBS Newsradio 880, the flagship station of Mets baseball. STAMFORD, Conn. (WCBS 880) — For the first time in years, some Connecticut business owners revealed to Joe Connolly at the WCBS Small Business Breakfast that they see signs that growth is slowing. As a result, hiring skilled employees has become even more important in a tight labor market because employees are the representatives of your brand. Many business owners remain optimistic, but retailers face challenges as Amazon is the one-stop shop for consumers. Several owners emphasized their relationship with their local communities and the positive influence they have while helping those in need, as a valued proposition to consumers who lean towards the convenience of shopping on Amazon. Dori DeCarlo, founder of StadiumBags.com, beamed with pride over the quality of her products. “Cheap is expensive,” said DeCarlo, a mom who started designing a line of clear bags and backpacks to deal with security issues at schools, offices, airports, public venues and sports arenas. Lamont’s own entrepreneurial background goes back to his cable television days. 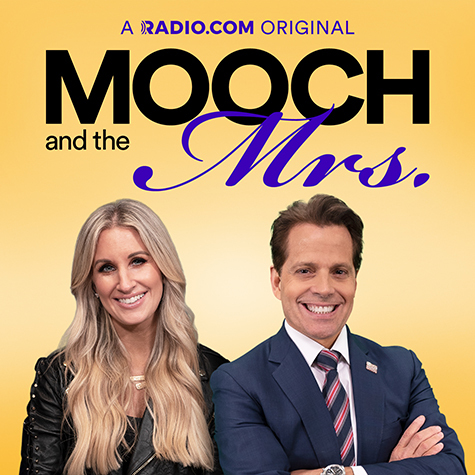 After graduating from Harvard and Yale, he worked for Cablevision when the cable network entered Connecticut. One day he got a tip from someone at MTV: Trek up to Franklin Pierce College in New Hampshire because they’re very unhappy with their cable system. The college told Lamont its students were paying high prices and the cable system wasn’t delivering what it wanted: educational and international programming. So, Lamont developed a network, Campus Televideo, to distribute cable TV from satellites to the college dorms. It expanded to over 100 colleges by 2006, including the University of Hartford. A group of expert panelists comprised of Nolan Farris, Senior Vice President for Sales at Indeed; Sam Gimbel, co-founder and CPO of Clark Inc.; Jarrett McGovern, Co-Founder of RISE Brewing Co.; and Cordy Gould Kelly, Co-Founder of Kelly’s Four Plus, then shared their experiences about keeping your business fresh and growing your brand. McGovern and Kelly were asked how they got their products to go mainstream. McGovern started his cold brew coffee brand a few years ago out of an East Village apartment and now has several high-end clients. Kelly started her granola business in her New Canaan kitchen. The product was hit among her son’s rowing students and their parents so that’s when they decided to take it to the next level. After selling at a few farmers markets, they soon found themselves on store shelves. Among nearly 300 small and mid-size business owners in attendance were a group of students from Blind Brook High School in Rye with an interest in business. After the 90-minute business pow-wow, they told Connolly what they gleaned from the event and the business news veteran gave them valuable advice as they pursue their career goals. 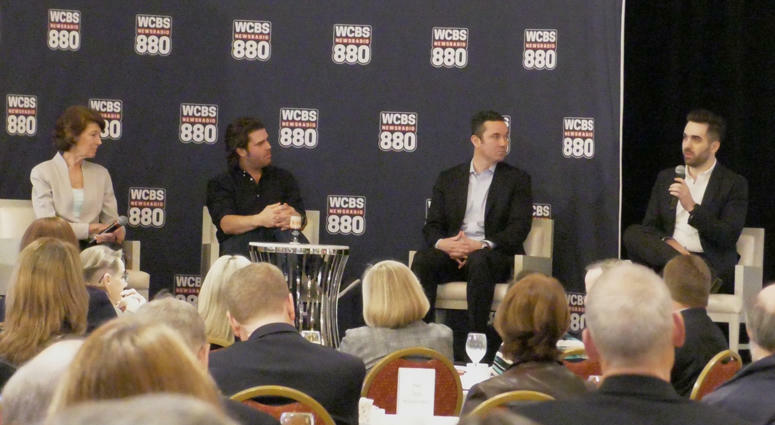 At the Small Business Breakfast, Connolly announced that WCBS Newsradio 880 will kick-off the NXT Events Media Group’s BRANDXCELERATOR with the next WCBS Business Breakfast on June 12 at the Metropolitan Pavilion in the Chelsea neighborhood of Manhattan. 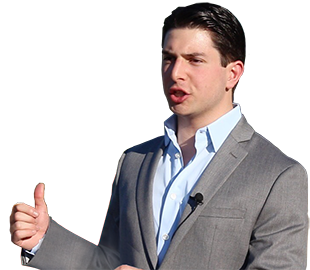 Neil A. Carousso is the producer of the WCBS Small Business Spotlight and Small Business Breakfast programs with Joe Connolly. 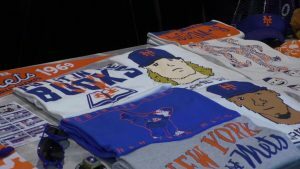 NEW YORK (WCBS 880) — There’s more than just baseball to look forward to this season at Citi Field. In addition to the 50th anniversary of the Miracle Mets, the stadium also has a new food lineup that Mets fans aren’t going to want to miss out on. 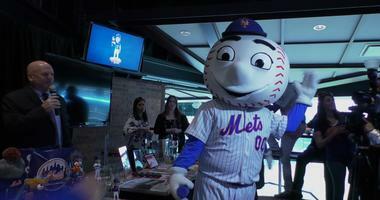 WCBS 880’s traffic reporter Tom Kaminski, an avid Mets fan, got a sneak peek Thursday at some of the newcomers to Citi Field including the brand new pizza partner, Emmy Squared. The pizza spot, which began as Emily Restaurant – also known as Pizza Loves Emily – was founded in 2014 in Clinton Hill and eventually grew into Emmy Squared in Williamsburg in 2015. Now, Emmy Squared has partnered with the Mets and offers a variety of specialty pizzas, including “The Emmy,” served with mozzarella cheese, banana peppers, red onions and ranch dressing. “We just could never have imagine that we would be here, but we’re happy to be,” said shop owner Emily Hyland. She notes that there are three locations throughout the stadium, including a field-level location that offers burgers. Other newcomers included Destination Dumplings, Dulcinea, Pizza Cupcake, Stuf’d, Sliders & Sinkers and La Newyorkina. 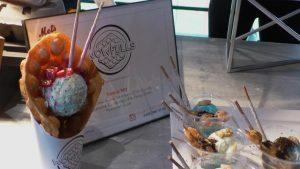 Fan favorites, including Wowfulls, which serves waffle cones stuffed with ice cream, and DŌ, which serves edible cookie dough, are also expected to draw large crowds. But it’s not just burgers and hotdogs you can find throughout the stadium. Citi Field is also planning to introduce new vendors for all dietary options, including a vegan spot: Marty’s V Burger. “Everything that we serve is 100 percent vegan,” said owner Marty Krutolow, who offered Kaminski the shop’s signature Shroom Steakhouse Burger. The dish is served with the restaurant’s vegan burger patty, vegan mozzarella cheese, steakhouse sauce, sautéed mushrooms and chipotle lime dressing – and has Kaminski’s seal of approval. “That is excellent,” Kaminski noted after taking his first bite. And while the food is usually a crowd pleaser, it’s not the only thing that’s new this season. In fact, upon arrival fans will be greeted by an entirely new 1969 display case which features artifacts from the season, including Ron Swoboda’s game-used glove, Gil Hodge’s manager contract and more. 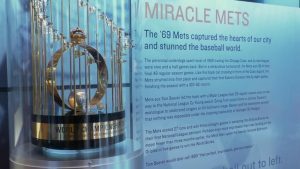 The artifacts were added as the Mets plan to host a weekend-long celebration to honor the 1969 World Series Championship team on Friday, June 28 through Sunday, June 30. Mets fans will also be pleased to hear that the team is planning to honor Tom Seaver – who was recently diagnosed with dementia and will unfortunately miss the Miracle Mets celebrations – by renaming 126th Street, which lies adjacent to the ballpark, after the legendary pitcher. And of course, there’s always new merchandise to look forward to. Neil A. Carousso produced multi-media content of the “What’s New at Citi Field” event ahead of Opening Day for WCBS Newsradio 880 – the flagship station of the New York Mets. NEW YORK (AP) — A new, troublesome topic hovered over the St. Patrick’s Day parade in New York this year: Britain’s failed Brexit deal with the European Union that could squeeze Ireland’s economy. But nothing could put a damper on the largest American celebration of Irish heritage on Saturday, with tens of thousands of marchers following a painted green line up Fifth Avenue for the six-hour procession. Kevin Coughlan, a 27-year-old spectator wearing pants with four-leaf clovers, captured both the New York celebration and the political near-catastrophe overseas, where he still has plenty of family — in Ireland. “I’ve always been so proud to be an Irish-American, and that’s what today is about; it’s more than just one big party, it’s about celebrating our freedom,” said the Hoboken, New Jersey, resident. Through its history, dating back more than 250 years, the New York parade has often had a political element. In the 1970s and 1980s, as sectarian violence flared in Northern Ireland, there were controversies over the inclusion of groups supporting the militant wing of the Irish Republican Army. A banner reading “England get out of Ireland” has flown in the parade since the 1940s. This year’s march is taking place amid a new set of questions about relations between the United Kingdom and Ireland. “When the Irish take to the streets this Saturday for the 258th St. Patrick’s Day Parade, our thoughts will take us far beyond the festivities on Fifth Ave. to Washington, D.C., and to the British Parliament in London,” the grand marshal of this year’s St. Patrick’s Day parade in New York, attorney Brian O’Dwyer, wrote in an editorial in the Daily News this week. British lawmakers are struggling to find a way to exit the European Union without disrupting the two-decade old peace accords that created an open border between the Republic of Ireland, which is in the E.U., and Northern Ireland, which is in the U.K. This week, with a March 29 deadline looming, British lawmakers voted to seek to delay Brexit for at least three months. But the possibility exists that the line between the two parts of Ireland, which has been unguarded for 20 years, will once again become hardened with vehicle checkpoints, with trade rules and tariffs in force. O’Dwyer said Irish-Americans are ready to mobilize politically to oppose any arrangement that leads to a restoration of the hard border that once split the emerald isle. But for most at Saturday’s parade, the political debate over the future Northern Ireland took a back seat to the pageantry. 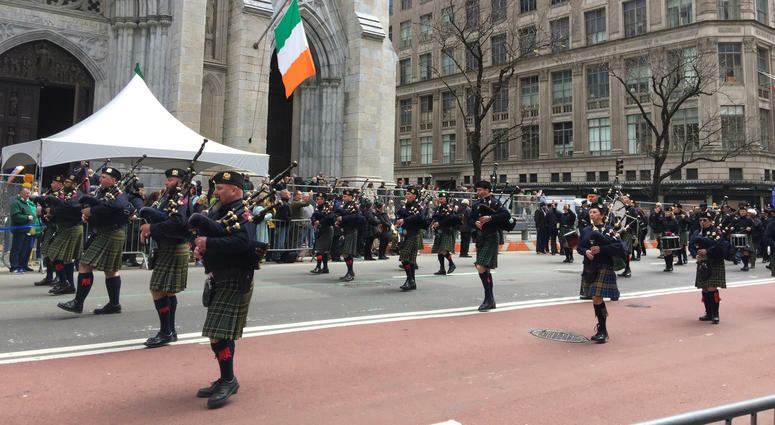 Popular marching groups include the pipes and drums corps for the Emerald Societies at the New York police and fire departments and the 1st Battalion, 69th Infantry Regiment, of the New York Army National Guard, which has led off the parade since 1851. St. Patrick’s Day is on March 17, a Sunday this year, and the parade is always held the Saturday before even if the day does not fall on a Saturday. Neil A. Carousso produced multi-media coverage of the 258th St. Patrick’s Day Parade for WCBS Newsradio 880.